This picture of Bryce makes me really curious, where was this taken from? It makes me really want to go exploring there more to discover where it’s at. What a cool perspective this photographer found. I’ve seen literally thousands of pictures of Bryce, but I always know the ones I want to post and talk about by if it makes me stop and linger. 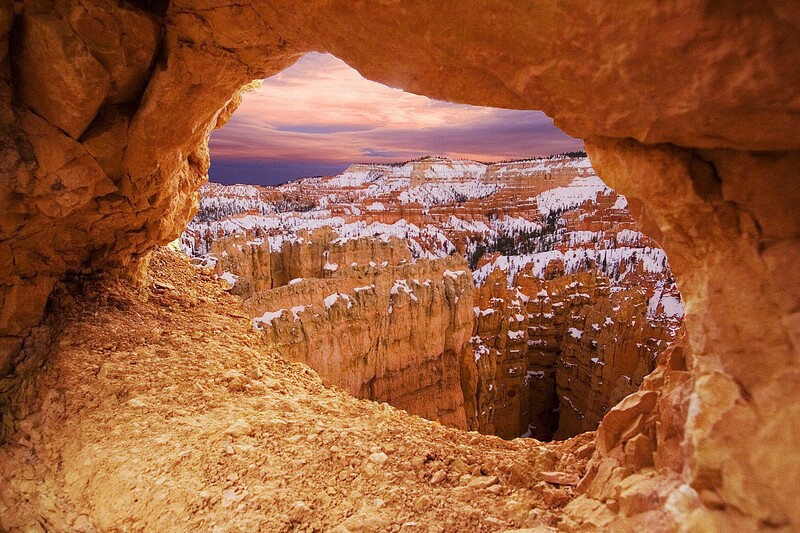 If it catches my attention and doesn’t fade into white space, then it’s the picture of Bryce Canyon that I’m after. It may be the inner kid in me that likes this image so much. Anymore I look at striking vistas of Bryce and I love them, but something about being a little kid and being stoked about finding a little cave or a little alcove in Bryce that makes me wish a little bit for yesterday. Anyways enough of the sentimental, Bryce is a fantastic place and I love finding images like this that highlight it in a way that I haven’t seen done a whole lot. Take a look at it and let me know what you think?